Now here is a record by one of France's greatest progressive metal hopes. 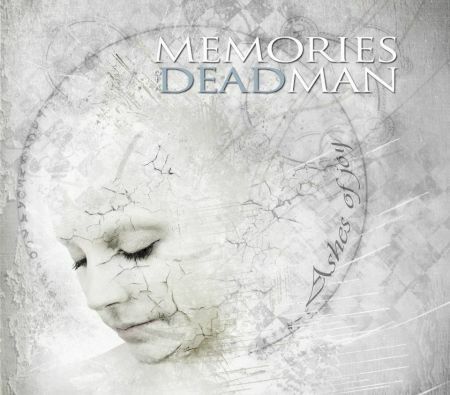 Memories of a Dead Man seem to be aiming to be the next Gojira, and judging by the triumph of their latest record Ashes of Joy they are well on their way. Featuring epic soundscapes and some very interesting songwriting it is frighteningly easy to lose yourself in the glory of this record. Furthermore, Memories of a Dead Man are not going to change their sludgy progressive sound for anyone. You either dig into it and start to understand the spirit of the music or you are simply left out to dry. One of the things that really strikes me about Ashes of Joy is how purely developed it sounds. Every idea here has a strong musical backing with fully evolved and finely crafted parts all contributing to a greater whole. Perhaps one of the defining aspects of the Memories of a Dead Man sound is simply the incredible use of the bass guitar to create multiple layers of melody. It adds harmonic interest and makes for a record that requires, nay demands many a listen. The vocals are another very engaging aspect, they use predominantly growls yet occasionally fall into a sad broken chant, adding a strangely human element to a record that seeks to resonate with the masses. In closing, Ashes of Joy transcends a lot of the madness and stupidity in the French metal scene, it goes beyond its surroundings and reaches out to be something more. This is a group who have an exciting and firm grasp on reality and want to bring forth a sound that few of their contemporaries can touch on. Wonderfully unique and chock full of exciting ideas, this is one of the best prog records to come out of any scene in a good long while. Let's just say, Ashes of Joy is exciting and dynamic, heavy metal that transcends the genre and captures the heart.